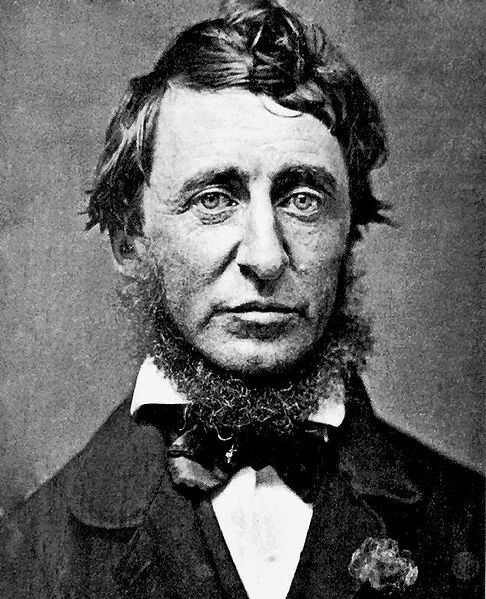 But even in the very midst of this gnostic adventure, Thoreau never entirely separated himself from worldly matters. Whilst venturing into town one day for supplies, he was incarcerated for refusing to pay poll tax to the commonwealth of Massachusetts in protest of the state’s endorsements of slavery and the Mexican War. Although he spent only one night in jail (much to his chagrin, the next morning an unknown benefactor cleared his six-year tax debt), it caused him to wonder why it is that we obey laws without asking if they are just. And, worse still, why others will obey even if they know them to be wrong. The experience resulted in “Civil Disobedience” (or “Resistance to Civil Government”, as it was first titled in 1849). A polemic on the individual’s right, nay duty, to dissent from government policies in accordance with his or her own conscience – “Disobedience is the true foundation of liberty” – it would in the twentieth century become one of the most famous and important essays in American literature. It is impossible to shoehorn the numerous and disparate key points of Thoreau’s life; as the emblematic practitioner of Transcendentalism, his life itself was the key point. He cleaved to no system, trusting only his inner morality. And for we Moderns, few ancestral voices speak with a greater truth. As our governments continue to trespass on our personal freedom, he reminds us that we are at liberty and indeed duty-bound to follow our own convictions. As the excesses of globalisation continue to wreak havoc on our planet, he is our great champion of simplification. And in this age when we are sorely lacking visionaries to lead the way, what a comfort it is to find such eternal wisdom and solace in the words and deeds of Henry David Thoreau. Excellent piece on someone I can’t pretend to know much about. But as a regular reader here it seems to me that he is one of your “top picks”. Another regular reader who agrees that this is a very good tribute! Where would you start to find out more about him? What are you intending to do once you’ve completed the full year? First stop is Walden. Better yet, pick up a cheap copy of Walden and Other Writings by HDT and you’ll also get ‘Civil Disobedience’, ‘Life Without Principle’, plus writings from his Journal (which he kept from 1837-1861). The beauty of his writing and his keen observations are truly a literary gift. takes an extrordinary woman to know an extraordinary man.